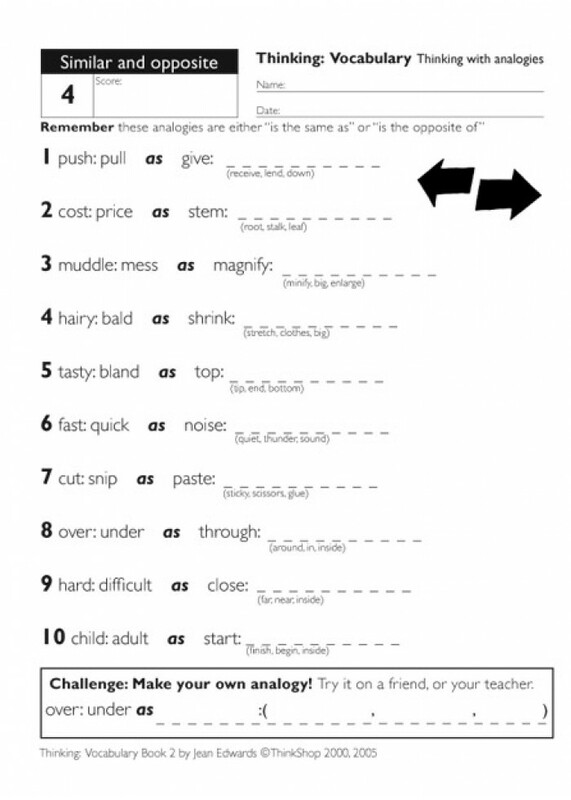 Analogy-based worksheets that help students to learn and practice important critical thinking skills from the Essential Skills needed for real-world problem-solving. Including logical thinking, analysing, classifying and perceiving patterns and relationships (such as cause and effect). Also very effective for vocabulary and creative thinking skills. Very effective for vocabulary and creative thinking skills. 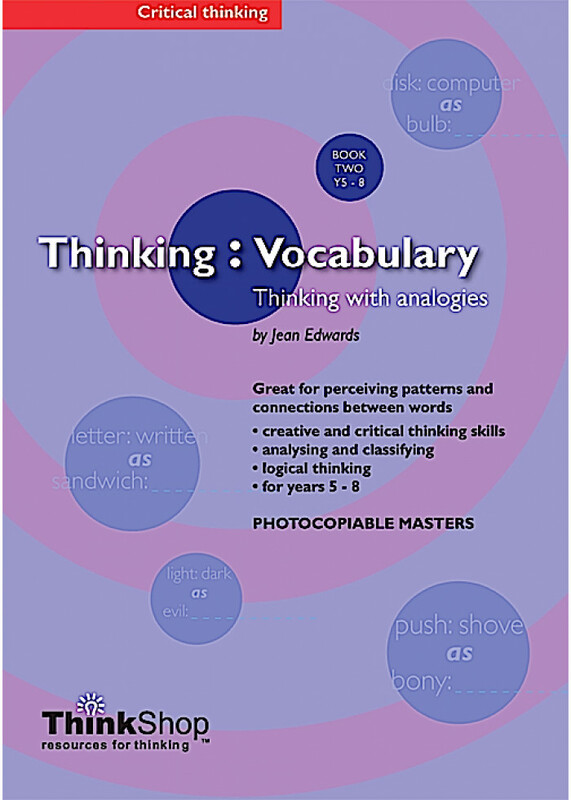 These analogy-based worksheets will help your students to learn and practise important skills including logical thinking, classifying, an..
Analogy-based worksheets that help students to learn and practice important critical thinking skills from the Essential Skills needed for real-world problem-solving. Including logical thinking, analys..